NOTICE IS HEREBY GIVEN that the General City Election of the City of Winnemucca, Nevada will be at the same time as the General Election to be held on Tuesday, November 8, 2016. A Declaration of Candidacy must be filed with the City Clerk of the City of Winnemucca, 90 West Fourth Street, Winnemucca, Nevada on or after 8:00 a.m. Tuesday, August 30, 2016 and before the close of filing at 5:00 p.m. Friday, September 2, 2016. A filing fee in the amount of $25.00 shall be paid by each candidate at the time of filing a Declaration of Candidacy. 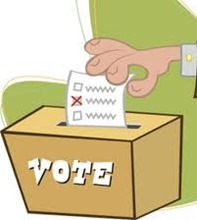 The Council members must be qualified electors within the City of Winnemucca and bona fide residents thereof for at least one year next preceding their election, and candidates for office must have actually resided in the City of Winnemucca for at least 30 days immediately preceding the date of the close of filing of the Declaration of Candidacy. All candidates are voted upon by the electors of the City of Winnemucca at large. Packets are being readied to go out on Friday this week relative to 3 openings on the Winnemucca City Council that will be on the General Ballot. Vacancies for Seats 1, 3 and 5 will need to be filled. People interested in applying to fill these openings will need to do so ruing a very short application period from Tuesday August 30, 2016 to end of the workday on Friday, September 2, 2016. The City Council is the governing body of the City of Winnemucca. There are five (5) Council Seats of which all officers serve four (4) year staggered terms. City Council Seats 1, 3 and 5 are up for election (in the 2016 general election) while Seats 2 and 4 are up for election along with the Mayoral seat (in the 2014 general election). Candidates run for office and are elected by the electors of the City at large. Three (3) members of the Council constitute a quorum and may conduct City business. Ordinances and Resolutions require three (3) affirmative votes to pass. Here’s your chance to put a Democratic stamp on our community. Who’s willing to apply and run? NOTICE IS HEREBY GIVEN that the General City Election of the City of Winnemucca, Nevada will be at the same time as the General Election to be held on Tuesday, November 4, 2014. A Declaration of Candidacy must be filed with the City Clerk of the City of Winnemucca, 90 West Fourth Street, Winnemucca, Nevada on or after 8:00 AM, Monday, August 25, 2014 and before the close of filing for office at 5:00 PM, Friday, August 29, 2014. The Mayor and Council members must be qualified electors within the City of Winnemucca and bona fide residents thereof for at least one year next preceding their election, and candidates for office must have actually resided in the City of Winnemucca for at least 30 days immediately preceding the date of the close of filing of the Declaration of Candidacy. All candidates are voted upon by the electors of the City of Winnemucca at-large. Vote on the 2014 Democratic County Party Platform: The proposed platform for Humboldt County will be heard and discussed at the county convention. You will then have an opportunity to cast your vote for or against it. Become a County Central Committee Member or Leader: The Central Committee is the governing body of the Democratic Party at the county level. This is your opportunity to play a role in the growth of the party. Central committee members are elected to a two-year term during every convention. Registered Democrats living in Humboldt county can nominate themselves and request election that day. If you are not present at convention, you must request nomination and election from your county chair at a later date. Submit and Debate Resolutions: Here’s a link to a blank Resolution Form you can use to create any resolutions you might like to introduce for debate and adoption. Adopted Resolutions will be forwarded to the NV State Democratic Party Platform committee. Become a Delegate to the State Convention: If you wish to attend the state Democratic convention as a delegate in June, you must attend your county convention and be elected as a Delegate. Otherwise, you can attend as an alternate delegate and be seated as an official delegate as space permits. Commune with Fellow Democrats! It’s not very often we all get together. This is a great opportunity to meet up with old friends and make some new ones as well. In lieu of our May meeting, we’re inviting ALL Humboldt Democrats to take the time to attend the Candidates Night being sponsored by the Humboldt Sun and the Silver Pinyon Journal. Please take the time to learn information about the various candidates who will be on the Primary Ballot. Information about the close of Voter Registration prior to the Primary election can be found in this article on the HumboldtDems blog. Watch the Humboldt Sun for scheduled times that will be made available for early voting. Early Voting is scheduled to begin on Saturday, May 24 and conclude on Friday, June 6th. Primary election day is Tuesday, June 10th. We have a number of candidates on the ballot. Get to know them and make plans to head to the polls. Oh … and while you’re at it, take a neighbor or a friend along with you. Whether you choose to vote early or on election day itself, VOTE!